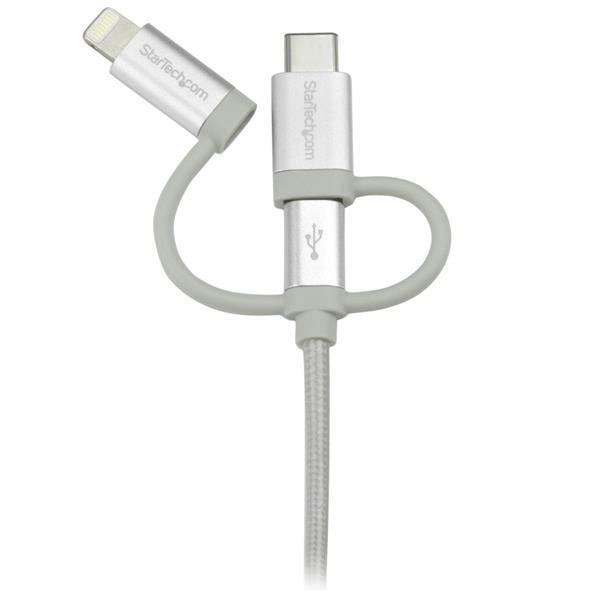 This USB multi-charging cable a single-cable solution that makes it easy to charge and sync your Apple Lightning or Android devices. Keep this USB to Micro-USB, USB-C or Lightning cable on hand for all your charging needs, instead of carrying multiple cables. 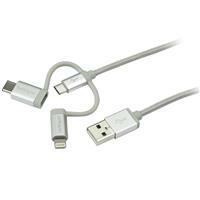 The 3-in-1 cable makes it easy for you to switch between different device models and platforms. Note that it will only connect to one device at a time. Charge your devices from a USB wall charger, car charger, or power bank. 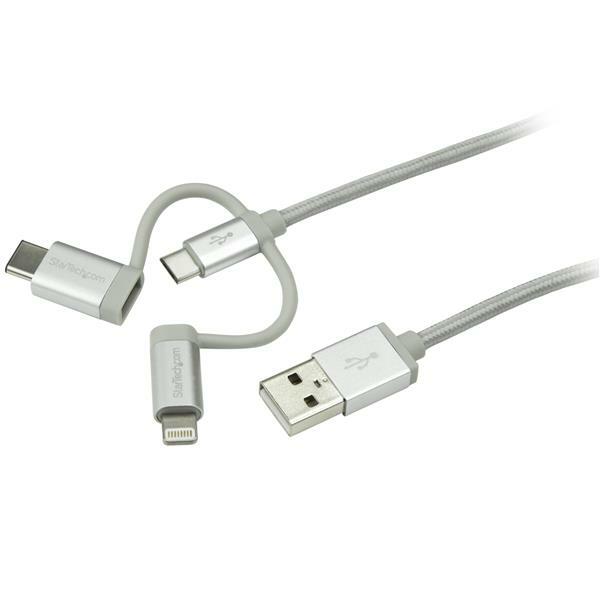 The longer cable offers a greater range, so you can access your device conveniently even while it’s connected to a charger. 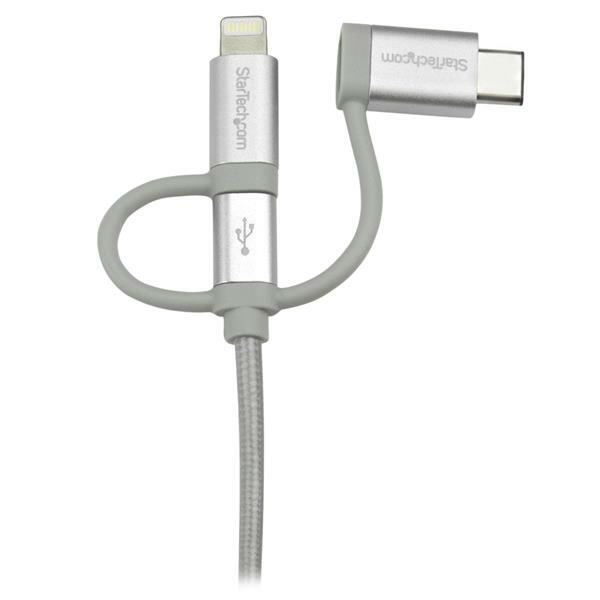 With a braided nylon jacket, this durable charging cable doesn’t kink or tangle as easily as non-braided cables do. 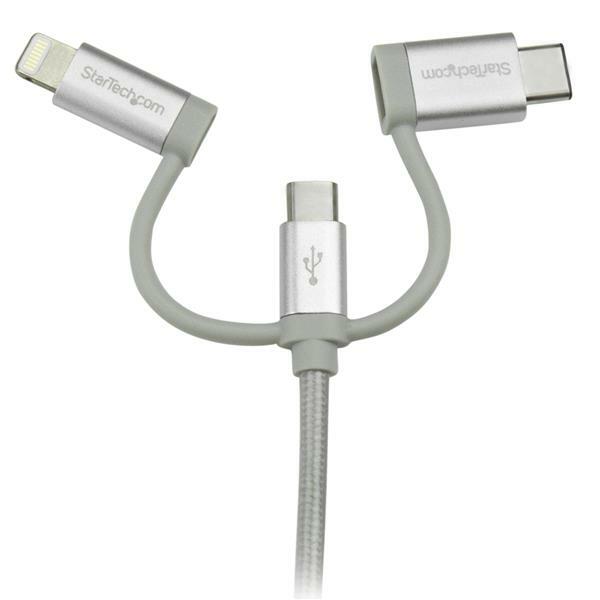 It’s an excellent replacement for any of your charging cables. 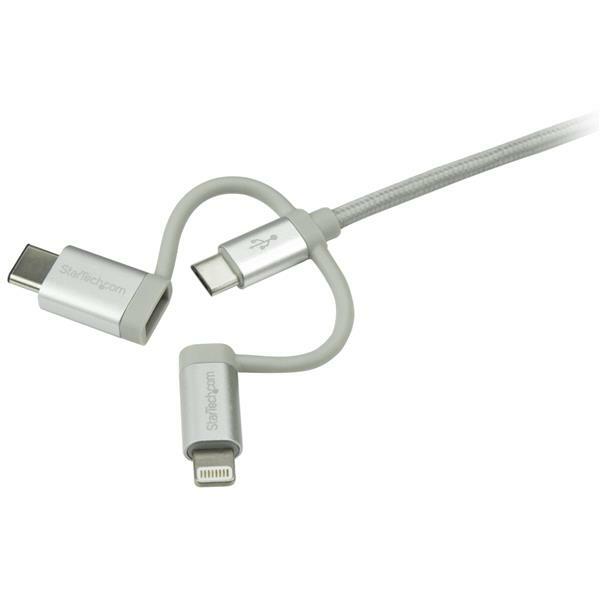 To charge or sync a USB-C or Lightning mobile device, simply attach the corresponding connector to the Micro-USB connector and plug into your device. 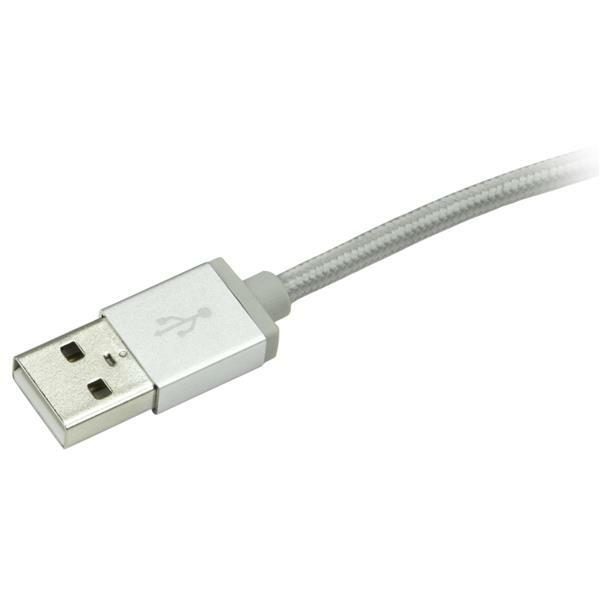 To charge or sync a Micro-USB device, plug just the middle connector of the cable into your mobile device. The cable will only charge or sync one device at a time. LTCUB1MGR is Apple MFi certified and backed by StarTech.com 2-year warranty to ensure dependable performance.